Carla Wiley leaves U.S. District Courthouse with her attorney after testimony Monday morning. JACKSONVILLE, Fla. - The founder of a bogus charity that former U.S. Rep. Corrine Brown was convicted of using for personal gain is asking a federal judge for leniency at sentencing. In a memo Wednesday, attorneys for Carla Wiley suggested their client should avoid prison time because she cooperated quickly and fully with federal investigators in the case against Brown. I-TEAM: Where would Corrine Brown go if sentenced to prison time? Wiley, who is scheduled to be sentenced next week, also deserves a lighter sentence because she took responsibility for what she had done from the outset of the investigation, her lawyers wrote. 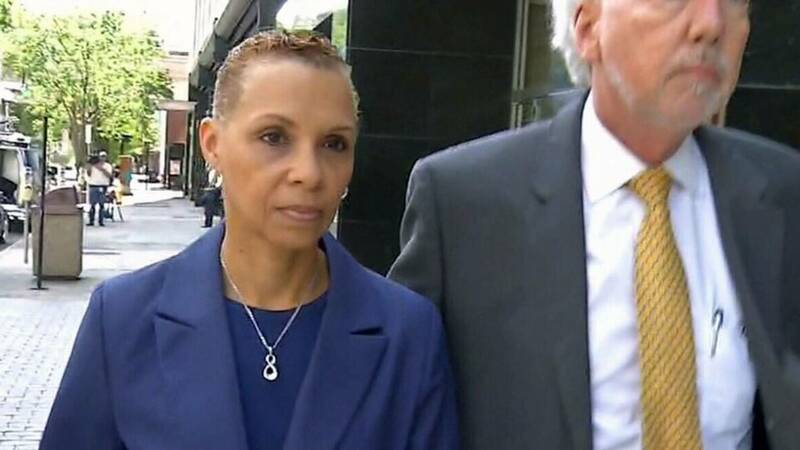 Wiley pleaded guilty to fraud charges last year and testified against Brown, but said she was never promised a lenient sentence in exchange for her testimony. The memo stated Wiley, whose testimony helped clinch Brown's conviction, had a lesser role in the scheme than the longtime lawmaker and her chief of staff, Ronnie Simmons. Wiley testified that she founded One Door for Education in Virginia as a charity to raise money for poor children. Instead, she said, it became a piggy bank for the trio's lavish tastes and lifestyles. She gave Simmons access to the group's bank account, estimating over $300,000 was diverted to pay for Brown's events and travel -- while the "charity" gave out just one $1,000 scholarship. Wiley acknowledged taking $140,000 for personal use. "She has done all that was asked of her during the investigation, and the Government has advised counsel of its intention" to stray from her sentencing guidelines, attorney Gray Thomas wrote. In lieu of incarceration, Wiley's attorneys suggested their client should receive probation, including community service and home detention. Wiley is scheduled for sentencing Nov. 15, a day before Brown will be sentenced on 18 federal tax and fraud counts.